When you are planning to throw a holiday party, there are so many things to consider: food, activities, location, music, etc. 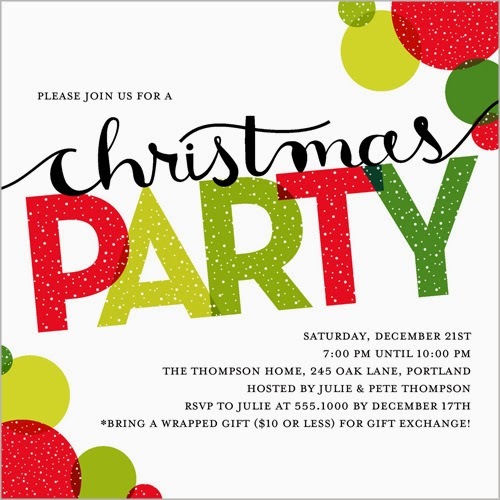 One of the first orders of business is to send invitations to all of your guests. You may be tempted to purchase blank invitations at the grocery store and call it good, but nowadays, party hostesses have seemingly countless invitation options at their fingertips. Some invitations take more preparation time than others and some are more expensive, so keep that in mind when evaluating your options. Specifically, you want your invitations to be customized with the correct information and invitation wording to fit the occasion. For example, wording will differ depending on whether you are throwing a more formal party versus a casual party, and a corporate function versus a gathering of friends. In addition, be sure to use the invitation to showcase the theme of your holiday party. Give hints of the theme through the envelope, address labels, stamp, color and font of the invite. 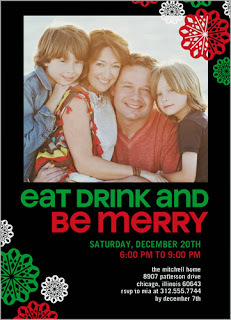 In order to attract attention and make your invite even more interesting to the eye, use a photograph. In fact, your Christmas photo cards used to wish friends and family a happy holiday season can double as invitations if you’d like. Simply put the party information on the card along with your greetings and be sure to send far enough in advance of the party. These types of cards are an easy way to create attractive invitations that won’t take much time to make. Plus, you have so many options; specifically, you can use a template or design your own card using the many fonts, colors and backgrounds available. 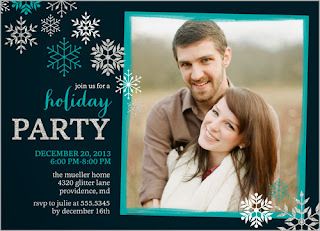 Digital invitations are always an option as well. There are free services you can use to design an email invite and send it to your guests, who can RSVP right then and there. These are quick and convenient; however, they don’t have the same personalized feel as sending something via in the mail. Also, there’s the danger the invitation will get lost in someone’s inbox. 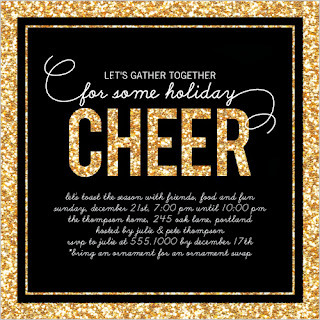 DIY-ers love the idea of spending time creating a masterpiece of an invitation for their holiday party – and that’s great! 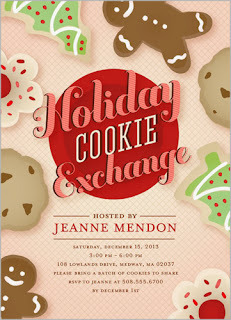 It can be lots of fun to choose the perfect paper, cutouts, ribbons and embellishments for your invitations. Just be aware that this can be costly and time-consuming, especially if you have a lot of invites to send. Sometimes you have to double up on stamps if the invites are bulkier than normal cards. Whatever you decide, carefully examine your invitation options and select the type of card that works for you, given your budget and time constraints. And one more thing – remember to have fun!